We've released a beta version of the Digital by Default Service Standard, a big step towards fulfilling one of the actions established in the Government Digital Strategy last November. The standard sets out a list of things that a service (and the team running it) have to do before it goes live. These aren’t radical things but they are important things, like doing user research, measuring performance and being able to iteratively improve a service day after day. On their own, standards aren’t very exciting - and not that helpful either. So, rather than just produce a tick-box list, we’ve wrapped the standard together with the Government Service Design Manual; a toolbox of things that teams across government can use to help build services that meet the standard. The standard will be applied to all large services from April 2014. The point of the standard is to make sure that every service that’s published on GOV.UK is so straightforward and convenient that all those who can use them will choose to do so, and that appropriate assisted digital measures have been put in place for those who are offline. We’ve been talking to the likely users in government about the standard for some time, and we’re confident that it will create a shared understanding of what good looks like across Government. The manual contains more than 100 pieces of guidance for service managers and teams building services. 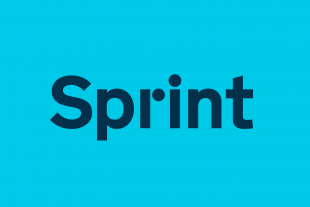 It ranges from introductions to agile development to extremely specific colour palettes, all gleaned from the work teams at GDS have been doing. It’s wide-ranging, but there’s plenty of room for teams to innovate. Over time we expect much, if not all of it, to change. That might be because teams have found better ways of doing thing, or because standards have updated and changed. We’ll find out as those changes happen. We know, for example, that we desperately need search, but that was de-prioritised for this initial release, and we’d like to surface core advice - like the Design Principles and the Style Guide - a little better than we do now. But, like any agile service, we don’t expect to stop iterating when the beta warning comes off. 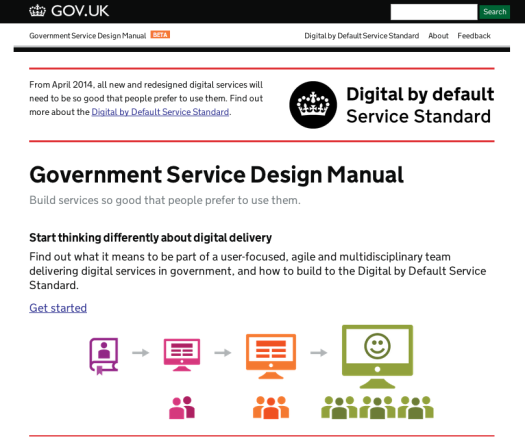 Over time the manual will increasingly contain not just what GDS has learned, but everything government knows about building great digital and assisted digital services. We want to capture the lessons and experiences from the service transformations that are just starting now, and share them. That will make sure the guidance stays fresh and useful so that, hopefully, it becomes a resource that helps those outside Whitehall too.